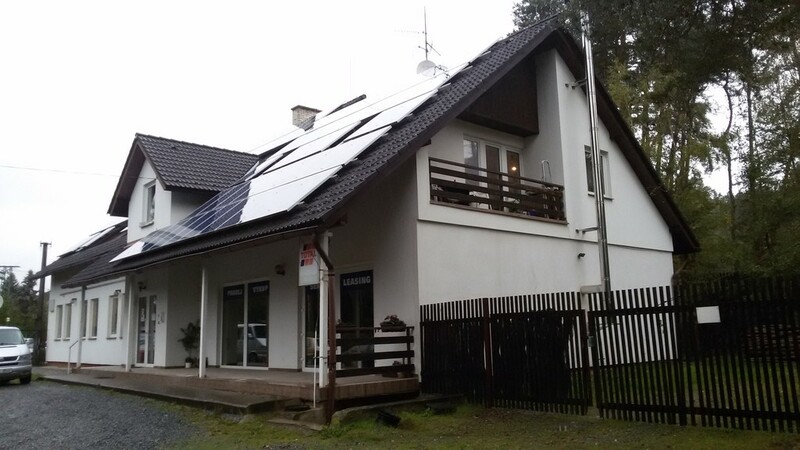 Implementation in the Rakovník district. 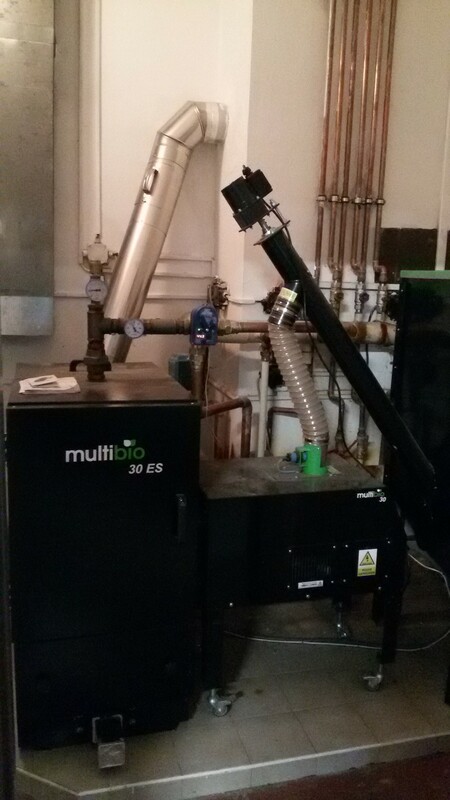 The customer replaced the boiler for propane butane by the MultiBio 30 ES boiler to save the heating costs of the building. 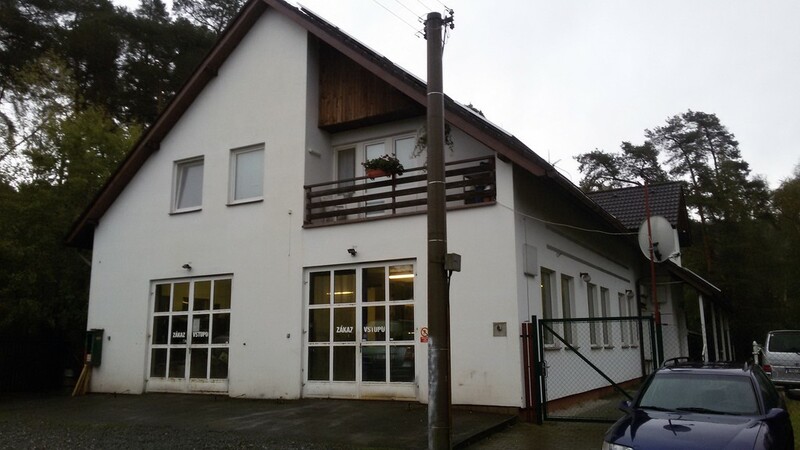 The building has a ground plan of 13 x 30 meters on the ground floor and on the same floor. 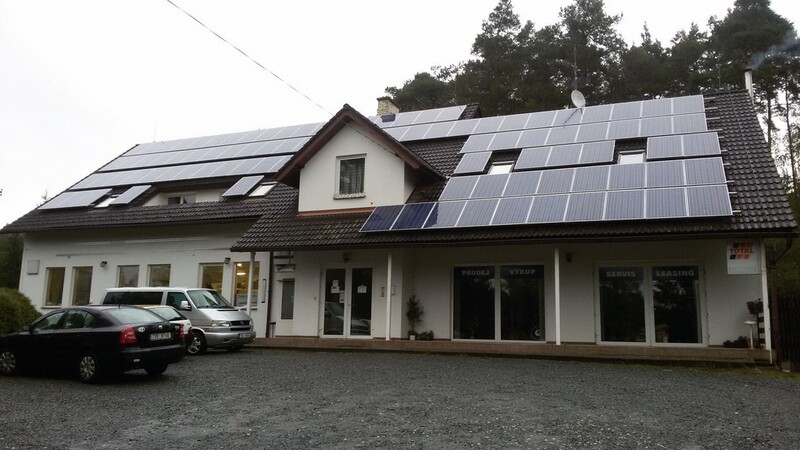 Overall, approximately 800 m2. It uses industrial wood pellets with ash content of about 5%. The boiler works automatically. It has automatic soap discharging, flue gas cleaning with springs. 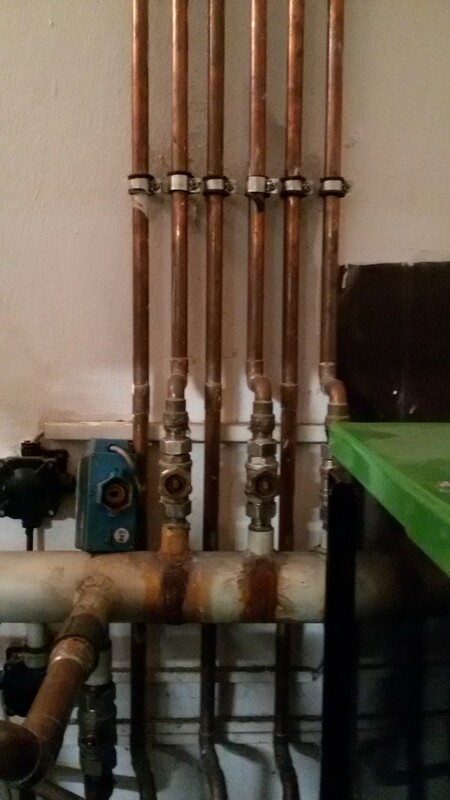 The boiler switches on and off as required by the thermostat. Power modulation is enabled. 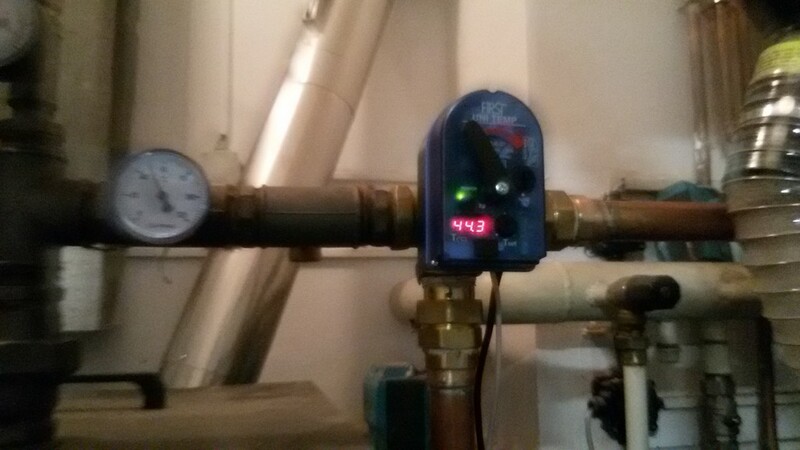 Depending on the boiler water temperature, the modulation rate can be selected. 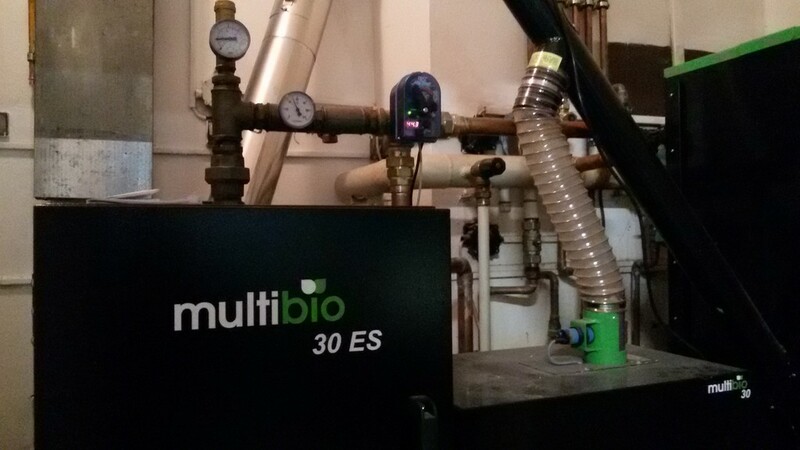 For example, after reaching a temperature of 80 degrees, the boiler goes into modulation until the boiler water temperature drops to the default 60 degrees. Once this temperature has been reached, the boiler will steady to full power. If there is excess heat even during modulation, the boiler switches off automatically and waits for the thermostat to fire. The burner boiler does not work in the dampening mode. 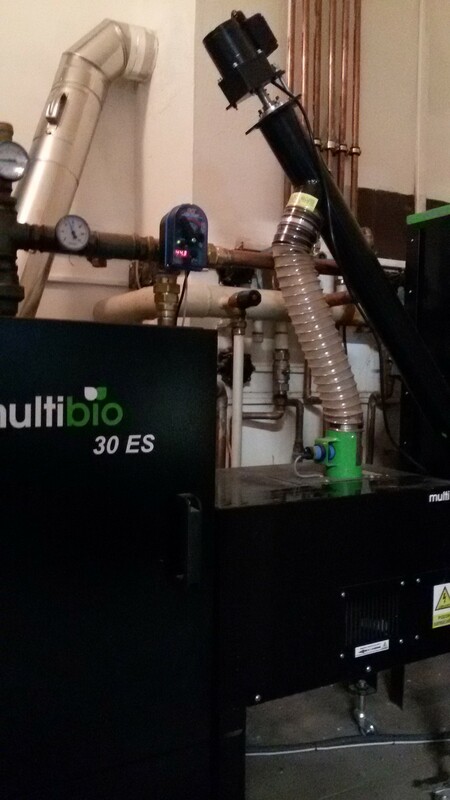 It saves the body of the boiler, flue gas and, above all, fuel to the customer. The FIRST three-way valve is used in the installation to replace the Adex Midi, a three-way valve with an electroshell, to reduce the cost of the short loop control by approximately half.